We’re less than a month away from the highly anticipated release of IN FLAMES thirteenth studio album, »I, The Mask« out March 1st, via Nuclear Blast (worldwide, excl. North America) and Eleven Seven Music (North America). IN FLAMES unveil a fourth song from their upcoming album, adding to the over 10 million streams accumulated from the first three new tracks. “We hope you enjoy ‘Burn’ as much as we did writing it. It’s one of our favorites from the new album and the last song you’ll hear until release date. We can’t wait to see you soon on the road and playing these new songs live. In Jesterheads We Trust!”, vocalist Anders Fridén says. 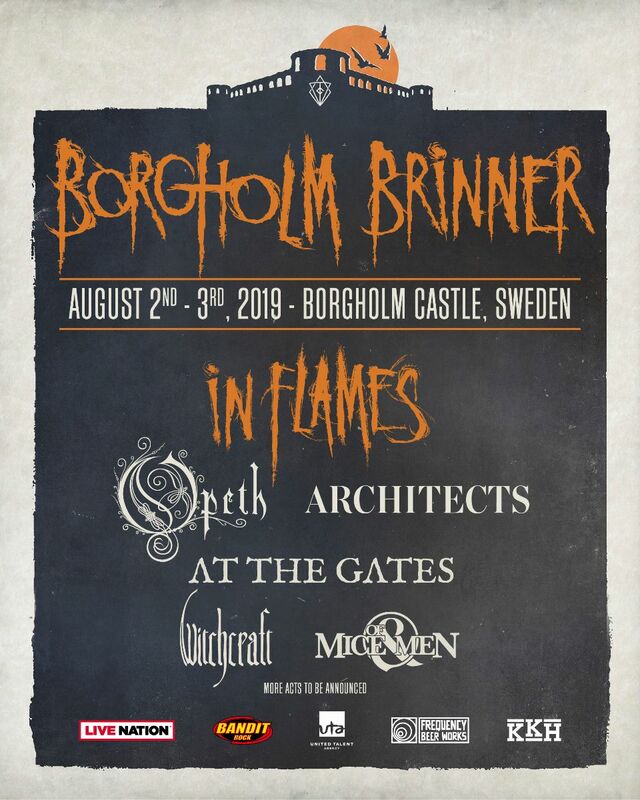 In addition, IN FLAMES have announced more names for their second annual festival, BORGHOLM BRINNER, that will once again take place in the Borgholm Castle on the isle of Öland in Sweden on August 2nd and 3rd, 2019. The internationally renowned force that is UK’s ARCHITECTS will join this year’s line-up, as well as Sweden’s own WITCHCRAFT. Both bands join the already impressive lineup to perform next to prog masters OPETH, as well as melodeath pioneers AT THE GATES and California’s OF MICE AND MEN – and of course the festival hosts IN FLAMES, who will perform two different special sets on each night. 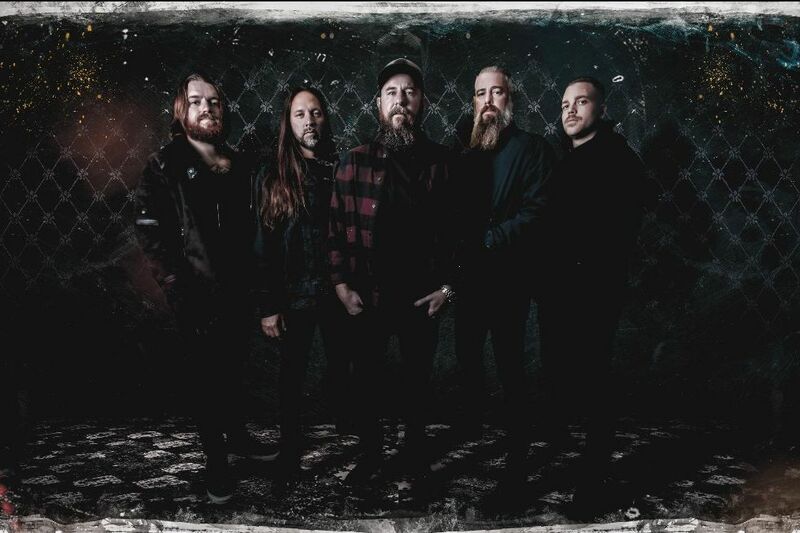 IN FLAMES — guitarist Björn Gelotte, vocalist Anders Fridén, guitarist Niclas Engelin, bassist Bryce Paul Newman and drummer Tanner Wayne — brought some major names on board for »I, The Mask«, including multi-Grammy nominated and winning industry staples such as: Howard Benson for production, Chris Lord-Alge for mixing and Ted Jensen for mastering. 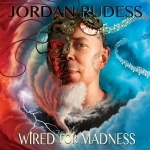 Artist Blake Armstrong created the album’s artwork, which is an interpretation of IN FLAMES’ mascot, The Jesterhead. 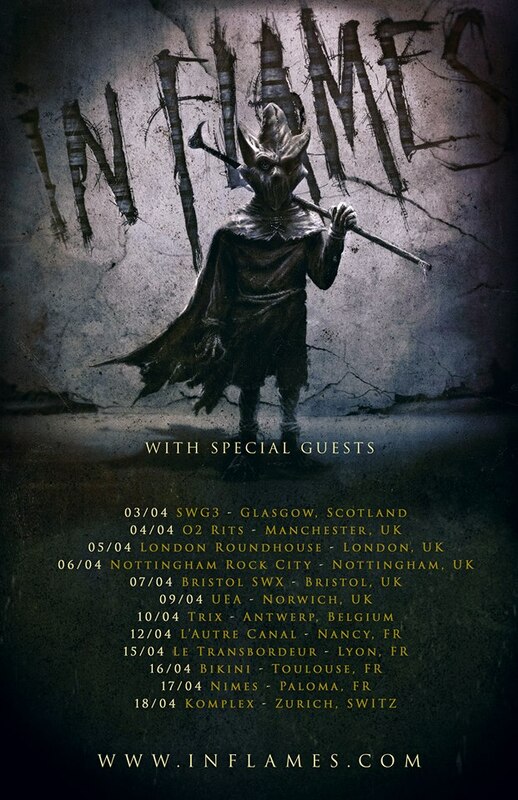 »I, The Mask« will undoubtedly showcase why IN FLAMES are one of the biggest metal bands in the world – never shying away from pushing their artistic boundaries, crafting music that’s as catchy as it is crushing. Formed in 1990, the band are considered one of the forefathers of melodic death metal and the purveyors of the ‘Gothenburg sound’. With thirteen studio albums under their belt, countless successful tours around the globe playing with the likes of METALLICA, IRON MAIDEN, MEGADETH and AVENGED SEVENFOLD – with millions of records sold and a massive fanbase worldwide, IN FLAMES have proven to be an unstoppable force. From their 1994 debut »Lunar Strain« onwards, the band’s intricate twin guitar attack, melodic vocals and superb arrangements have given them a signature sound that has evolved throughout the years.